Over the last two years, the United Progressive Alliance government has steadily lost credibility mainly because of the many cases of corruption that have been unearthed in recent months. Yet another controversy has hit the national scene with a new report by the Comptroller and Auditor General indicting India's largest private sector company, Reliance Industries Ltd, for the violation of the terms of its contract in exploring gasfields in the Krishna-Godavari Basin. 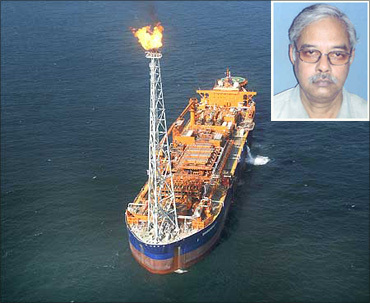 If the allegations of irregularity, as indicated by the CAG, in the exploration in the KG Basin in Andhra Pradesh are true, then this could be a major factor contributing to price rise, as corruption in national assets like gas and petroleum puts inflationary pressure on the price of goods due to the high rate of fuel and transportation. 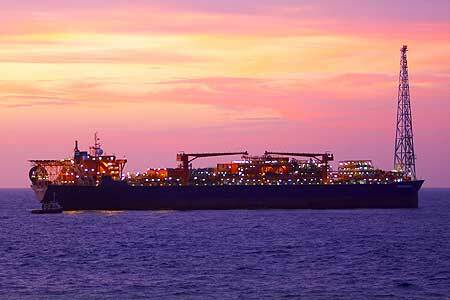 The CAG has asked the Union petroleum ministry to review the decision to allow Reliance Industries to retain the entire KG-D6 block. Communist Party of India-Marxist Rajya Sabha member and trade union leader Tapan Sen has been fighting the alleged nexus between Reliance Industries and the UPA government for the last five years. Away from the media glare, his -- and his party's -- battle for years was largely unknown, but the CAG report appears to have vindicated his stand. Early in his career, Sen worked with the Steel Authority of India Limited. He has been a trade union activist since 1971 and eventually became general secretary of the CPI-M's Centre of Indian Trade Unions, CITU, a position he holds currently. He is a member of Parliament's Standing Committee on Petroleum and Natural Gas. Sen has interacted with the Prime Minister's Office regularly on the alleged irregularities committed by Reliance Industries in gas exploration in the KG Basin. In a tape-recorded interview to Rediff.com, Sen explains in detail what he believes are the irregularities committed by Reliance Industries and how the UPA government has allowed the petrochemicals giant to get away with it. The interview was conducted after the draft CAG report was released, but before the final report was made public. Sen granted Sheela Bhatt the interview expressing apprehensions that it will not be published. "Nobody," he said, "wants to write on this huge scam which is bigger than the 2G scam." 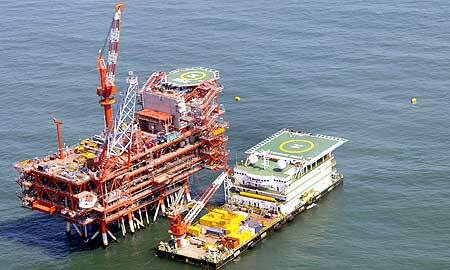 Image: The Reliance Industries rig off the Andhra Pradesh coast in the KG Basin. 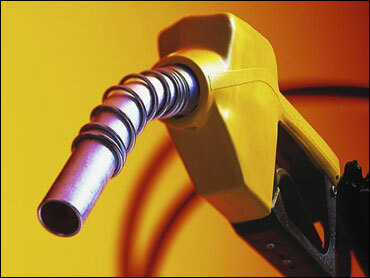 (Inset) CPI(M) Rajya Sabha Tapan Sen.
How were you introduced to the irregularities in the petroleum and gas sector? It was my duty to do the follow-up of the petroleum sector because my party had assigned me that duty by making me a member of the Standing Committee on Petroleum and Gas. Besides, it is not just about my own political interest since the petroleum sector is a lifeline of the national economy in terms of fuel and energy security. So I had to take deep interest. Through competitive bidding in the National Exploration Licensing Policy, the major part of the Krishna Godavari Basin had gone to Reliance Industries and its partner Niko Resources Ltd. They discovered gas in the KG Basin. I was keeping a close watch on the time given to them, how the explorers were working, how gas was found and how the government would ensure that, finally, gas reaches consumers at an affordable price. I kept a close watch on the whole chain of development. The entire scam of KG Basin came to light through a Parliament question first asked on December 12, 2006 by me and my colleague, the late Chittabrata Majumdar. It was a joint question. We had got the information that in the KG Basin case, Reliance had placed a field development plan to produce 40 million standard cubic meters per day (MMSCMD) of gas. They placed the expenditure of $2.47 billion. After some time they submitted a renewed field development plan claiming that now they will produce 80 MMSCMD at the expense of $8.84 billion. So production capacity doubled, but expenditure was inflated almost four times. Nobody knew this till December 2006. It came out in Parliament in the reply of the petroleum minister. Any layman can tell you that, as per textbook economics, if your production is increasing, then your expenditure per unit must come down. But, here, production cost almost quadrupled. Even if you take into account the uncertainties of the sector. . . even if you take into account the trial and error method of digging here and there, even if you take into account your wasted efforts of searching gas and exploring, and even if you take international standards for doubling production, your development cost cannot triple or quadruple. Immediately I wrote to the (then) petroleum minister Murli Deora. He acknowledged my letter and gave a standard response that the matter is being looked into. Within a few days Deora called me. He spoke to me on the issue. He told me to speak to the chief of the Directorate General of Hydrocarbons, V K Sibal -- who has now been charge-sheeted by the CBI for favouring the US firm. It would incur the government a big loss because only after recovering the cost of production would the government start getting a return on the national asset. Gas is a national asset. Reliance is the contractor and definitely it is entitled to recover the cost. But the inflated cost of Reliance has national ramifications. If the cost of gas exploration is too high, then it will affect the prices. 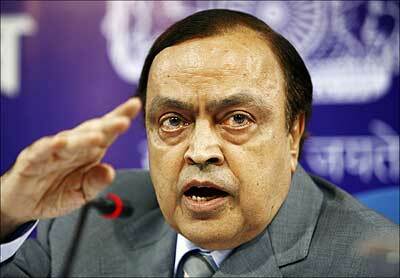 Image: Former petroleum minister Murli Deora. What must be the estimated cost to the exchequer? It is not right to quantify the loss only on one account. The loss is on various accounts. Let me first tell you what happened at Sibal's level. Deora asked Sibal to arrange for a conference with me. We wanted to examine the field development cost and wanted to know how it was approved. The approval was given to Reliance in 33 days. I repeat, the renewed field development plan worth $8.84 billion was approved by the ministry in 33 days. How can such a huge cost escalation be approved in 33 days only? I told the ministry's officers, 'you haven't quantified how you have arrived at the estimate of $2.47 billion for 40 MMSCMD to $8.84 billion for 80 MMSCMD. I understand 5 to 10 per cent of cost here or there, but it can't be more than that because it's an international business'. The ministry should have allowed reasonable profit to Reliance, but before that they should have quantified it on their own. They could not convince me. I requested for an independent examination of it. No doubt, accordingly the petroleum ministry appointed an impartial agency that included a Canadian expert also. Then I got information that the Canadian company had a conflict of interest because they were earlier with Reliance. Again, the formation of the examining panel was changed. I am not a spy. These people are very powerful and they have lots of money. Anyway, the DGH stood by its decision. The independent agency also stood by DGH's decision. They never gave me that report. They communicated to me. . . orally. In 2007, I wrote to Prime Minister Manmohan Singh. I wrote that I am not satisfied with the petroleum ministry's presentation. I wrote four or five times to the PM. Again, I resumed my letter-writing when the petroleum ministry was deciding the pricing of KG Basin gas. High cost of gas has a bearing on prices of goods, so again I started writing letters. The government appointed the Empowered Group of Ministers. On the floor of Parliament, I questioned it because fixing of price of gas is a technical job and not a political job. A bunch of ministers cannot be the custodian of all the knowledge under the sky. For fixing of pricing of gas and petroleum, you need cost accountants and industrial engineers. Here, the EGoM was doing it. I proposed that they scrutinise the cost of production, get the price set that gives reasonable returns on cost of production. 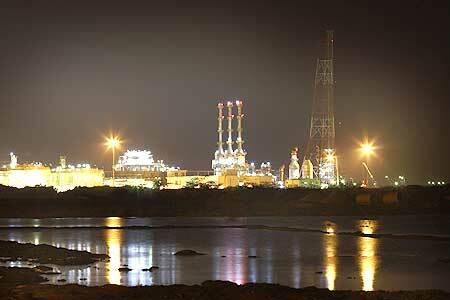 The government gives reasonable returns of 12 to 15 per cent on the cost to companies like ONGC. That was the political decision the government should have taken. After all, 30 per cent of power production in the country is run on gas. 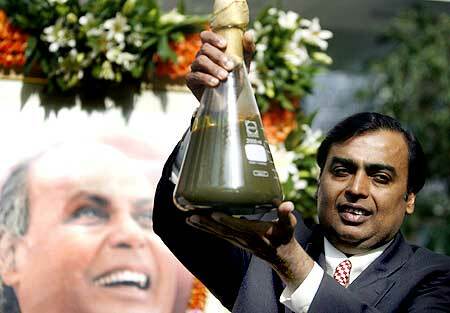 Reliance, the company that had 'gold-plated' the expenditure of exploration, asked for a price of $4.3 per mmBtu. It was their discovery of price and they made out some formula for it, that I subsequently came to know. And the EGOM had to work on it. They claimed that they got the bidding for it and they linked it to international price of crude oil. Whatever India is producing under its own soil was linked it with the international price. I questioned the process of fixing of price. Just to make a posture and fool the people, the government agreed to $4.2 mmBtu. A slight difference was made to say that they have not accepted what Reliance told them. There was another impropriety done to the nation. 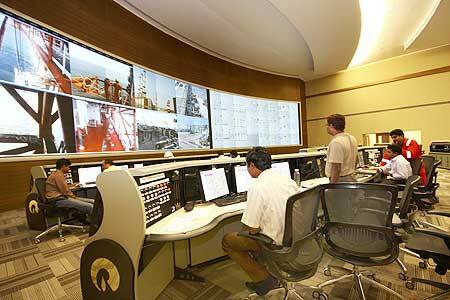 Reliance, that quoted $4.3 mmBtu to EGOM, quoted $2.34 mmBtu in the international competitive bidding of NTPC. They would not have quoted $2.34 mmBtu without keeping a satisfying profit-margin. The same Reliance is on record saying in the Supreme Court, where two brothers were fighting a legal case, on an affidavit, that their basic cost of exploring gas is much less than $2.00 mmBtu. The EGOM had all these facts before them, but still in their wisdom they obliged Reliance and fixed the price at $4.2 mmBtu. I think the gold-plating done by Reliance in the capex had the bearings on that. The country has to apply national security parameters and also the actual cost of exploration before fixing the price. What actually happened then? Even before getting commercial production Reliance started getting its profit on the asset that belongs to the people of this country. . . they (Reliance) are just a contractor. The manner in which they deceived the nation and the government and the way they fixed the price formula, they got a bonanza. NTPC has written to the government that if it fixes the price as per Reliance's claims then government-owned company NTPC will lose Rs 24,000 crore (Rs 240 billion) in its two project in Kawas and Gandhar. It was given in writing to the EGoM. What was the real game behind the scene? Mukesh Ambani's RIL backed out of the NTPC agreement. Different games were played at different times. Initially, when both (Ambani) brothers were together RIL had quoted a certain price, but when they fell out, the equations changed. Anil Ambani said he should be given gas at the price agreed with NTPC. So RIL backed out from NTPC, too. RIL didn't bother about NTPC which is generating power for the nation. Now, a court case is going on between Reliance and NTPC. How much is the actual loss to the government? Whatever the money Reliance has to make, they have made. The government should have quantified the loss to the exchequer. The government should have calculated when would Reliance recover its cost and when would the government start sharing profits. Reliance hiked the price from $2.34 mmBtu to $4.2 mmBtu. So, fertilisers companies, power plants and common consumers are paying more to Reliance. This collective loss by the nation and to 1.2 billion people should be calculated. The cost to the nation is just not quantifiable. It's unquantifiable. You can quantify revenue generation, but not the real loss. It is due to the venture where the government and corporate played jointly. The higher capex cost means it will take longer for the government to get net revenue from the project. Reliance made the gain, and I don't know who else made the gain in the process. That's anybody's guess. There is another angle to the issue. The same Reliance sold 30 per cent stake to British Petroleum for $7.2 billion. It was approved by the government. This is a windfall for Reliance, but it is the loss to the people of India. 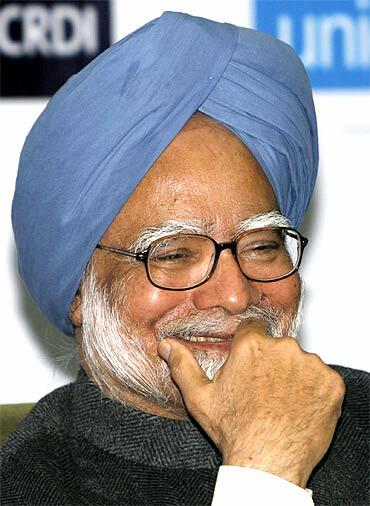 What was Prime Minister Manmohan Singh's response to you? I wrote to him. He said, 'I have received your letters. I am having the matter looked into'. That's all. Nothing more. His stand is what stand the EGoM has taken. The government has not come out till now to admit that something wrong has been done. Prime Minister Singh has said regarding the 2G scam that, 'We live in a world of uncertainty and whether it is the Comptroller and Auditor General, whether it is a parliamentary committee. . . they analyse post facto. They have a lot more facts which were not available to those who took the decision'. But, in the KG Basin case much before the EGoM took the final view on pricing, we took pains to make the government aware of all the information. There is nothing post facto here. The prime minister can't have this excuse. Everything was in public domain. I raised (the issue) in Parliament, facts were given to the EGoM headed by (Finance Minister) Pranab Mukherjee. A greater crime has been committed here. On pricing, a committee of secretaries was appointed and they also said, 'Don't do this now. ' The Cabinet secretary and many others have directly or indirectly told the government not to fix a price of $4.2 mmBtu. The EGoM had Ministers of Power Sushilkumar Shinde, Fertilisers Ram Vilas Paswan, and the petroleum minister. I have information that the decision was not unanimous to favour Reliance in the EGoM. In their presentation to the EGoM, the power and fertilisers ministries gave their opinion against fixing the price asked by Reliance. You can get it through RTI (the Right to Information Act). Where does the matter stand now? The country stands looted and the country continues to be looted. What was the role of DGH? DGH Sibal should be punished. He was the regulator. I have demanded that he should be questioned. The approval of cost of exploration projects is given to him and he approves it. To be fair to a risk-taker like Reliance, one has to say that you can't quantify risk. When somebody is taking such a huge risk on such a huge project they would like to earn . . .
That's a general statement. Yes, there are risks. This risk is not something that is immeasurable. I said, 'Please go by international standards. In this world, it is not only Reliance that is drilling into the earth or sea and finding gas'. I told you I have taken into account the risk that is involved, and the failure also. See, when Reliance filed its first field development plan they had surely taken into account the risk factor. Why did Reliance do this? They wanted to make more money. Then why did they not think of it in the first field development plan? Because they wanted to make more money. 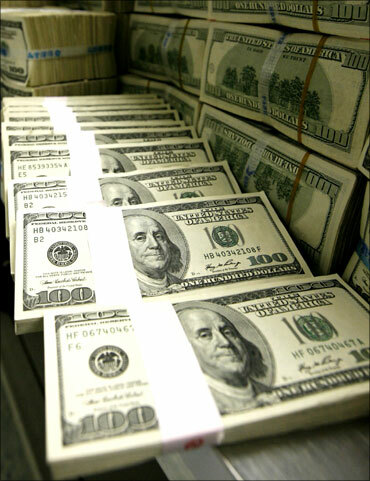 Making money doesn't have an end. Fooling the people is a kind of addiction. Once, I can fool you for $10, next time I will fool you with a bigger margin of $30. 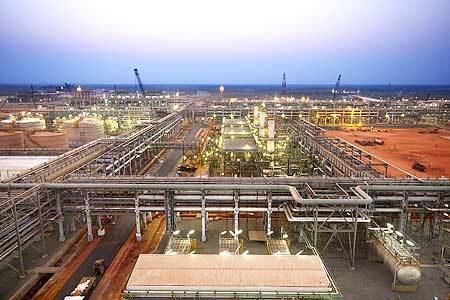 What do you think of the draft CAG report on the KG Basin contract? 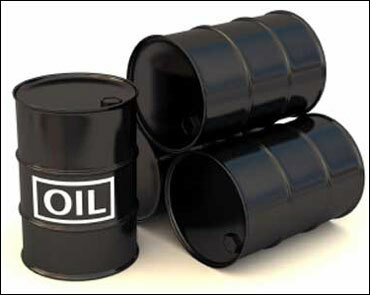 The CAG has said that there is a loss to the government in the KG Basin deal. Reliance has inflated cost on different counts. Whatever I have said in my 2006 letter to the government has been thoroughly vindicated in the CAG's draft report. I think DGH Sibal should be prosecuted. The production-sharing contract should be re-written and price level should be revised and the government should bring it down. It will make electricity cheaper, fertilisers cheaper and industries would benefit. If I get the opportunity to steal, am I going to leave it? It is the duty of the government to see that nobody takes people for a ride. There can be some defaults or mistakes in deals. This is not such case. All the facts were before the government . . . there were whistleblowers within the system, but the government turned a blind eye to them and took the decision to favour Reliance.